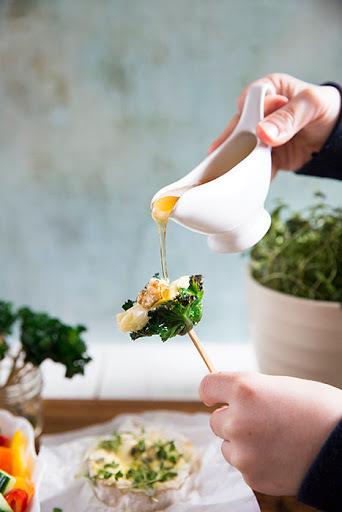 May's #G2BGF link-up was my first foray into hosting a linky party (collaborating with the lovely Rebecca at Glutarama), so bear with me whilst I feel my way around the process and incorporate it into my blogging routine. 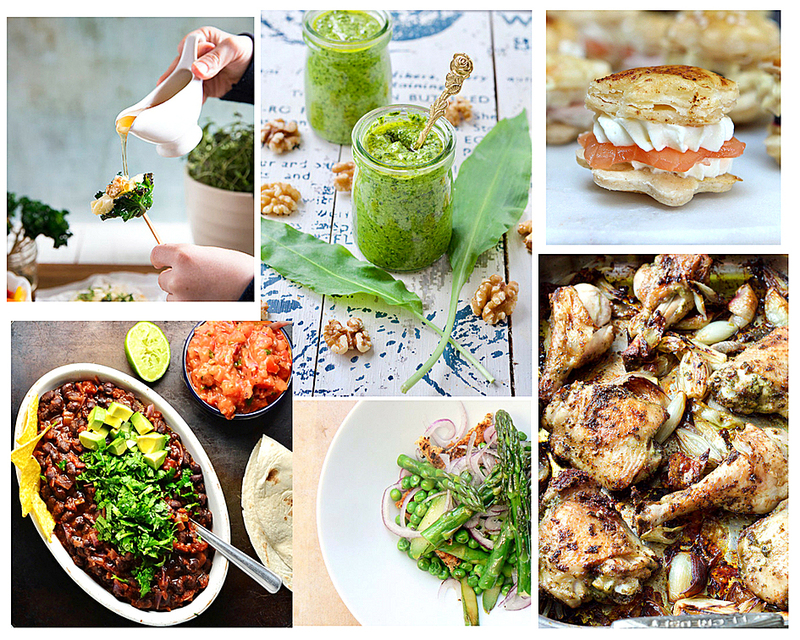 We had some gorgeous recipes and an amazing new gluten free on-line course last month, but if you didn't manage to join us, we'd love you to come share your gluten free creations with us this time round. This month Rebecca is hosting, so whether you cook, bake and eat gluten free all of the time, some of the time, or you just happen to have made a dish which is naturally gluten free, please come and link up. We had six gluten free dessert recipes (well 10 actually, if you count the 'Five Sweet Gluten Free Baking Recipes' that Bryony, from Perfectly Imperfect Mama sent over in one post). Well done Bryony, you did us proud! 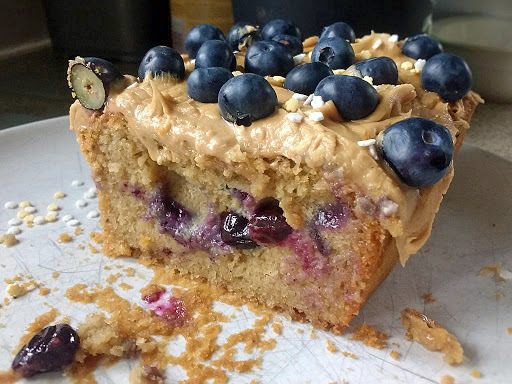 Inspired by a trip to Toronto (and in need of a charity bake), Midge from the Peachicks Bakery made us a gorgeous gluten free and vegan Coffee and Blueberry Loaf Cake... A soft coffee-infused sponge hiding a delectably sticky swirl of sweet blueberries. I am a huge fan of Midge's baking and constantly astounded by what she can produce without dairy, egg and frequently without gluten too. I have no doubt that this cake would have disappeared as quick as a flash in a charity bake sale and would have left people asking for more. My very talented co-host, Rebecca at Glutarama, delivered a divine-looking gluten free Self-Saucing Chocolate Pudding. Doesn't that look and sound amazing? 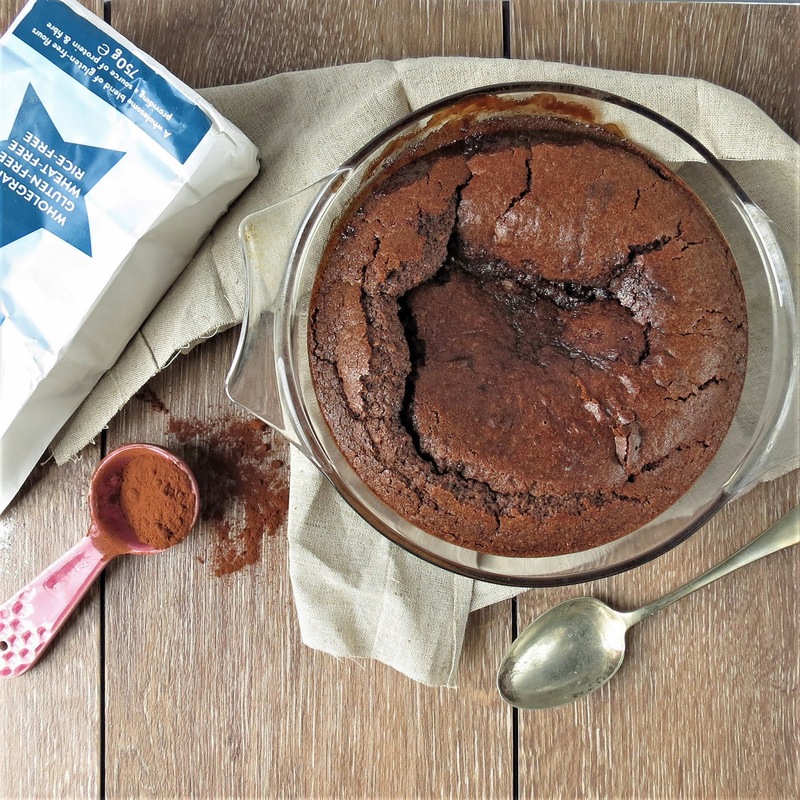 I have not yet ventured to make a self-saucing pudding, but this one is an absolute inspiration and it has leap-frogged right to the top of my 'must make' list. 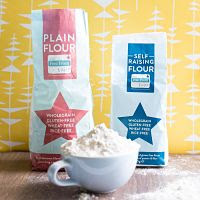 Bryony, who blogs over at Perfectly Imperfect Mama, shared no less than 5 Sweet Gluten Free Baking Recipes with us, all in one post! I particularly love the look of this Chocolate Avocado Pudding, which is also vegan, but if you are in need of some inspiration, she has Chocolate Brownie, Flapjack, Carrot Cake Muffin, and Brie and Cranberry Muffin too on offer. If Chocolate Brownies are your weakness (and I know they are one of mine), Choclette's naturally gluten free Triple Chocolate Almond Brownies, which you can find over on her blog Tin & Thyme, look utterly decadent and divine. 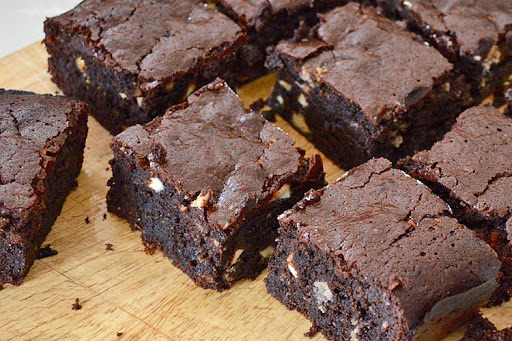 With their rich, dark fudginess, she describes them as 'way too tempting for anyone supposedly interested in a wholesome diet'. Really? 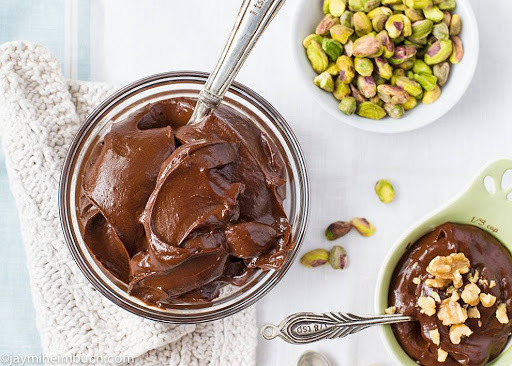 The list of ingredients doesn't look that dangerous and made with plenty of freshly ground, nutritious almonds, dark chocolate and unrefined sugar, I am sure I can make a case for the opposition! 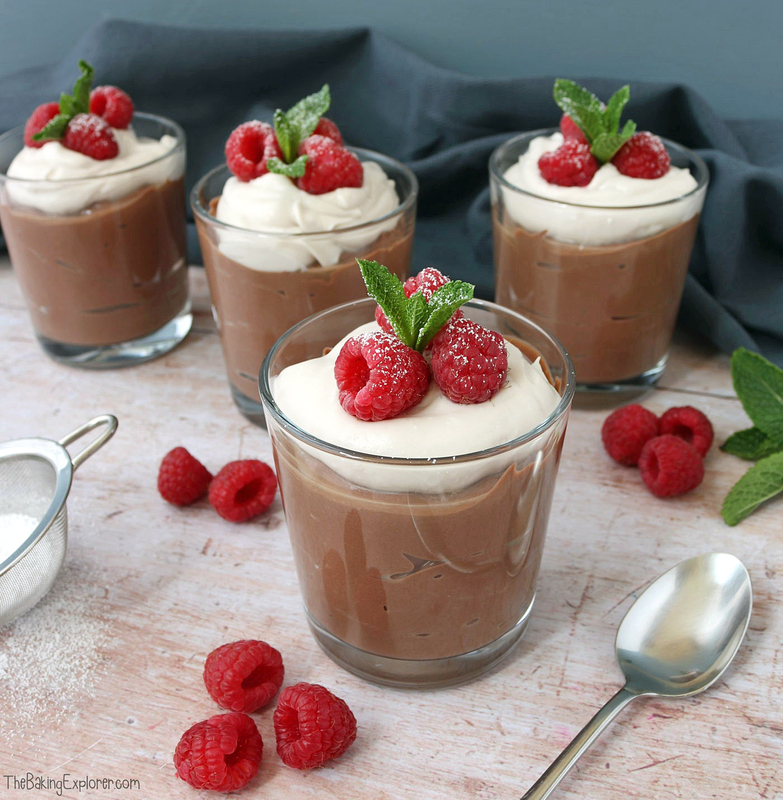 Continuing the chocolate theme, Kat, The Baking Explorer shared another vegan dessert in the form of her wonderfully creamy Vegan Chocolate Mousse Pots. Made with silken tofu, and topped with lightly whipped coconut cream and fresh raspberries, they look dreamily smooth and luxurious, sound incredibly healthy and would wow the guests at any dinner party. If you have any worries that their 'vegan' status might be 'outed', fear not... Kat has already tested them on her friends who had no idea they were made with tofu. To round off the dessert menu, I shared my seasonal gluten free Rhubarb & Custard Layer Cakes. 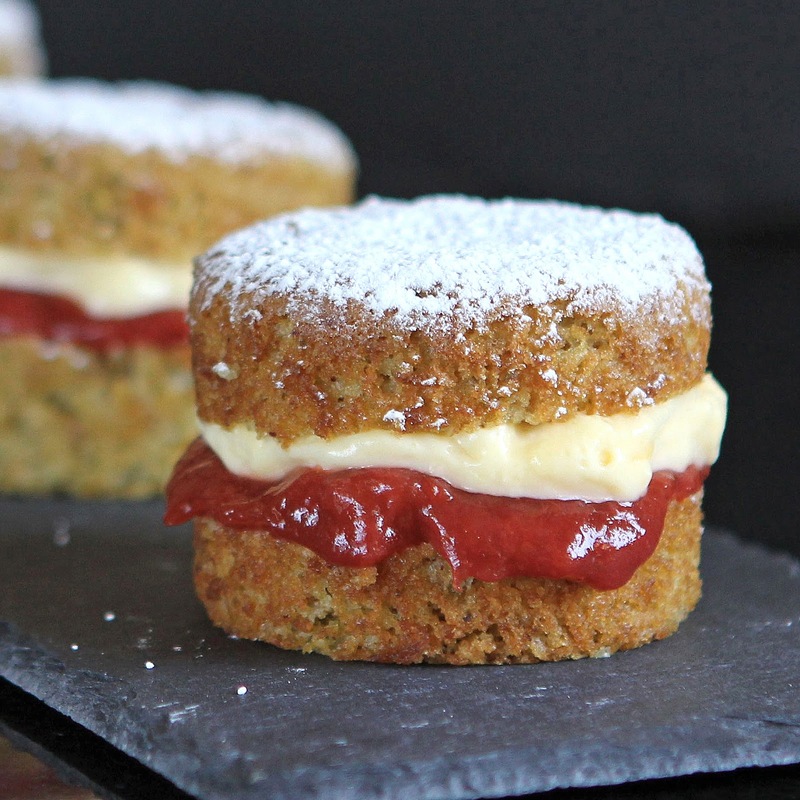 I have given this retro flavour classic a modern twist by sandwiching rhubarb compote and thickened custard between layers of pistachio sponge..... truly scrumptious! 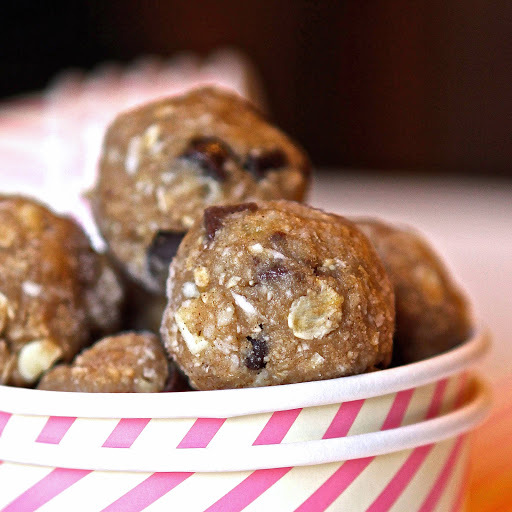 Although not a dessert recipe, our final sweet recipe was my Coco-Banana Freeze Bites, which make for a wholesome, nutritious after-school snack or alternative breakfast. Always ready to grab from the freezer, these gluten free bites are full of healthy ingredients and with their frozen 'novelty value', are a great tempter away from the crisps and sweets. On to May's savoury shares... there was definitely a seasonal theme with plenty of fresh spring veg on offer. 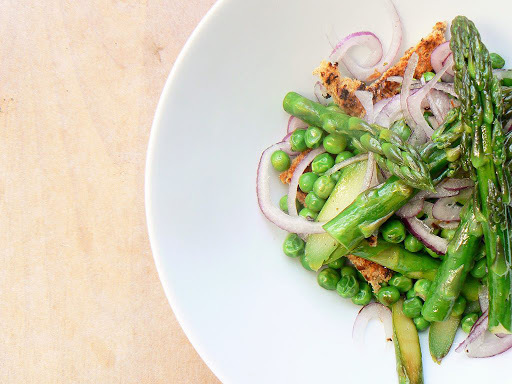 Not content with being an amazing baker, it seems Midge over at the Peachicks Bakery can throw together a delicious Seasonal Asparagus & Pea Spring Salad, served with Vegan Cheesy Toasts as well. The warmer weather has definitely brought a hankering for lighter lunches and I for one have been making the most of our very short UK asparagus season. I have to say though, I am endlessly jealous that Midge has her very own asparagus bed over in her No.17 allotment. 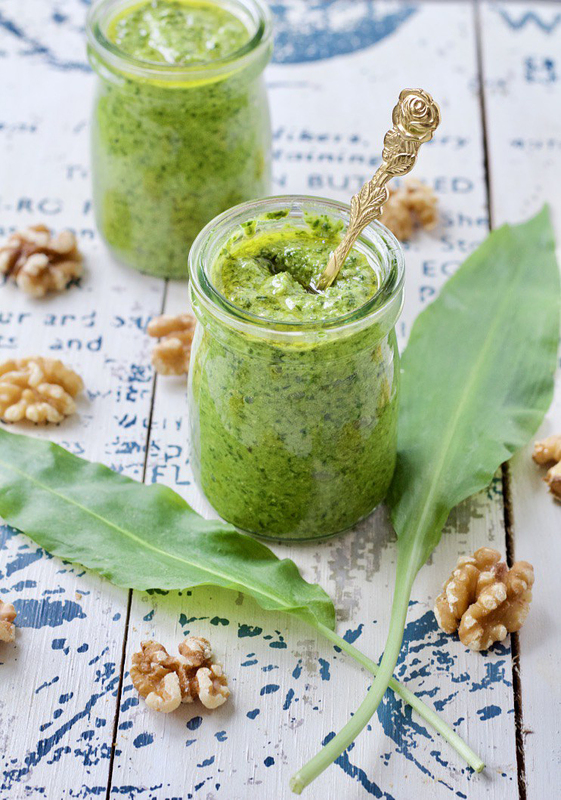 I have never yet used wild garlic, but I do love to make my own pesto and this naturally gluten free Wild Garlic and Walnut Pesto from Jo's Kitchen Larder looks and sounds extremely tasty and quite inspired. Not only is it really simple to make, but Jo says that 'its flavour is simply incredible' and I believe her. I can almost smell its aroma through her beautiful photographs. Jo used her Wild Garlic Pesto to make a delicious-looking mid-week supper of Roast Chicken with Wild Garlic Pesto & Shallots. Jo says that they are huge roast chicken fans in her house and I can see why. I was quite literally drooling at the prospect of having this served to me.... Sorry Jo.... There's nothing for it.... I'm moving in! This recipe from Mel at Le Coin De Mel for Simple Baked Camembert with Kalettes got me particularly excited. Sure I love Camembert, but I have been rather addicted to Kalettes in recent months. I get quite disappointed and frustrated when I find my local supermarket doesn't have any on the shelf. If you haven't tried them yet, they are a cross between kale and brussels sprouts, full of goodness and have a mild flavour and quite unique texture to eat. I love that they are almost creamy on the tongue.... or is that just me? Either way, if you want to know more about them, head over to Mel's blog and check them out. 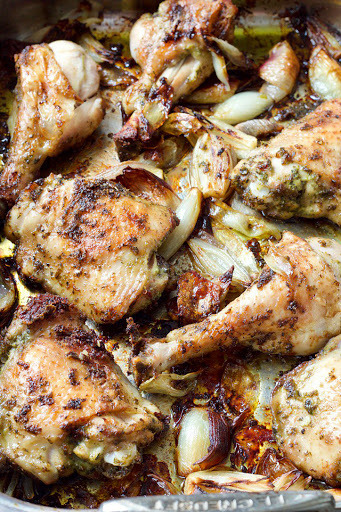 Another perfect mid-week meal comes from Monika at Everyday Healthy Recipes. 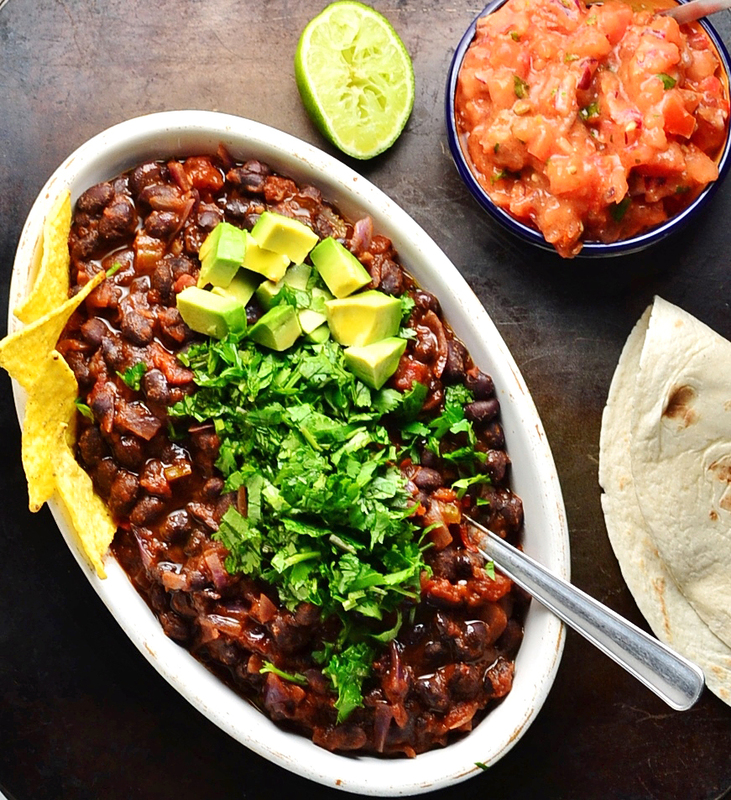 Her vegetarian, naturally gluten free Easy Mexican Bean Stew is as versatile and nourishing as it is tempting. Topped with coriander and fresh avocado and accompanied by a side of salsa, it can be served with rice, in a wrap or taco or alongside crunchy nachos. Any which way is good with me Monika... or alternatively, just pass me the pan and a large spoon! To round off our recipe-share, I offered some Puff Pastry Party Bites, made with ready-to-roll gluten free puff pastry. Party appetisers can be quite tricky when you are gluten free, so it is always good to have a few quick and easy recipes up your sleeve. 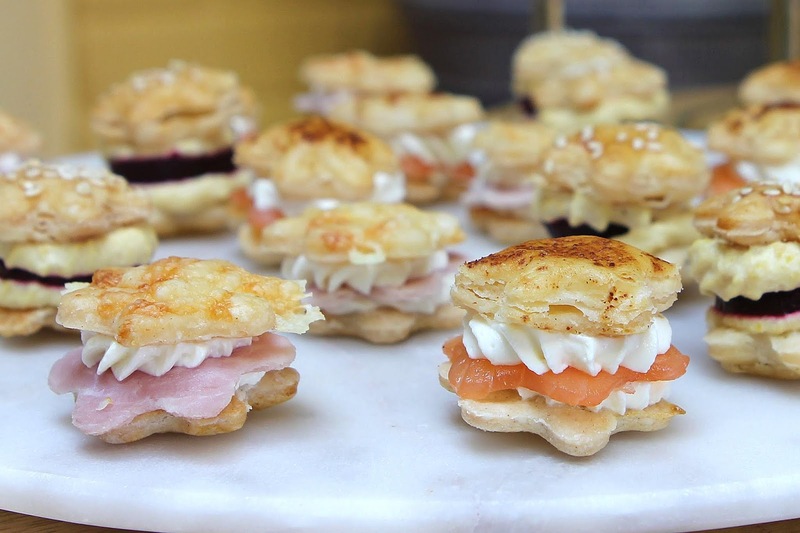 Once you have baked your pastry pieces, you can fill these party bites with pretty much anything... I made three versions : Cream Cheese and Smoked Salmon; Cream Cheese and Ham and Spicy Beetroot and Houmous. Although originally set up as a gluten free recipe-sharing linky, we have decided that providing they are centred around some aspect of gluten free living, we will include other contributed posts as well. 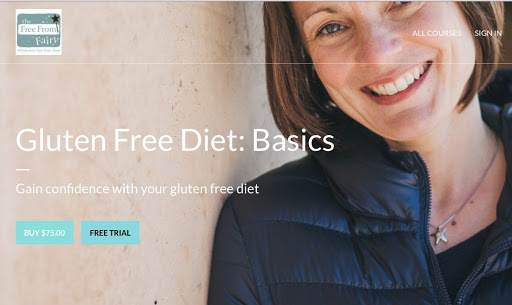 For those of you who follow Vicki, the Free From Fairy, you will know that she has just launched a new Basics Online Programme to support people as they make the transition to gluten free living and eating after a diagnosis of Coeliac Disease or gluten intolerance. 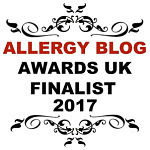 Vicki is a phenomenally talented blogger with a science and nutrition background and her passion for healthy gluten free eating is admirable. 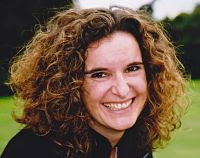 If you are struggling with getting your head around how to survive glutenless in a gluten-filled world, then I would recommend Vicki and her course as a great place to start. Our final two posts come from my co-host Rebecca at Glutarama. Rebecca's daughter has been having a difficult time recently with her double health issues from Coeliac Disease combined with Type 1 Diabetes, so Rebecca was thrilled to share a Free From Afternoon Tea together at her local cafe - The Pavilion in Bedford. 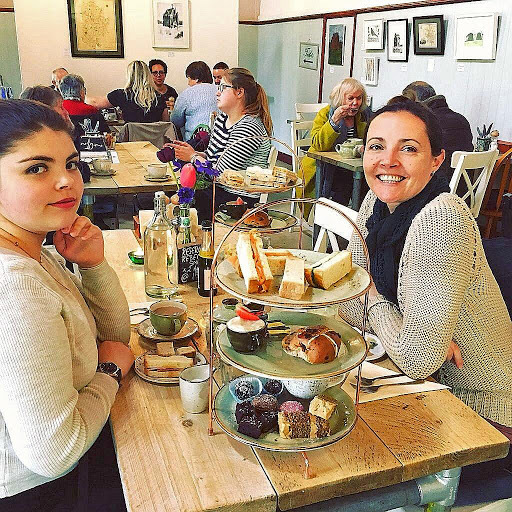 It sounds like some mummy and daughter time did both of them the world of good and they were clearly treated to a mammoth gluten free feast. 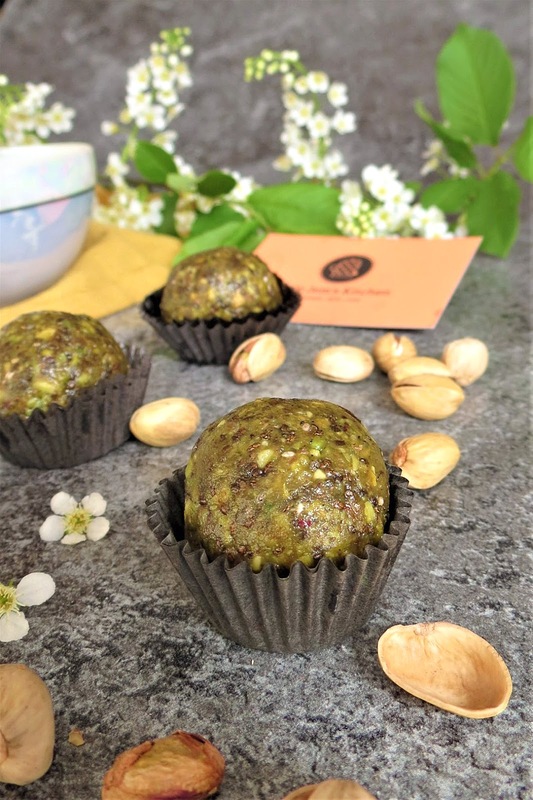 She also shared her Review of Energy Balls from Little Jem's Kitchen, which sound and look amazing. I am particularly coveting these beautiful green Matcha-Pistachio ones. So that brings us to the end of what was quite a bumper crop of gluten free delights. I hope you have enjoyed reading about everyone's creations as much as I enjoyed writing about them. 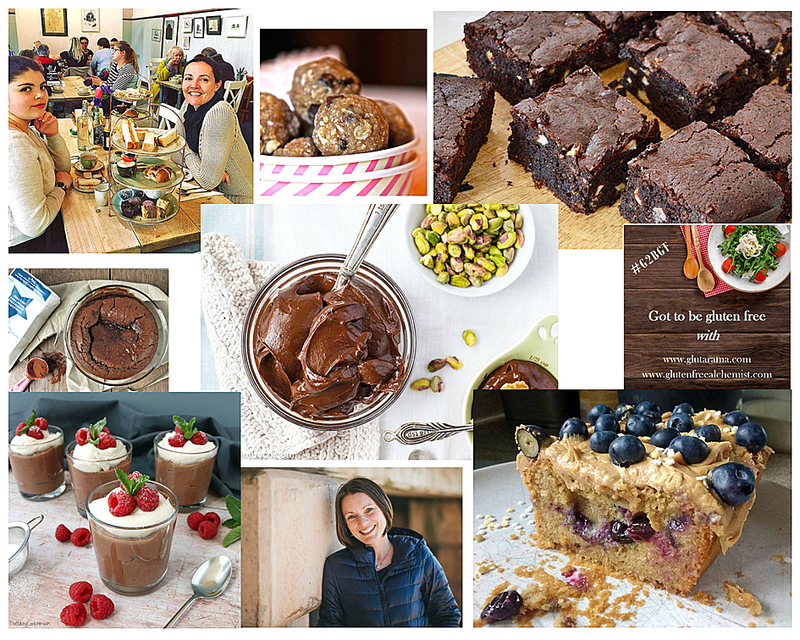 Don't forget to come and link up this month for June's gluten free party over at Glutarama. I can't wait to see what you share. Thankyou for sharing my pudding- everyone's looks awesome! lovely round up - such a lot of good food - I must have missed your linky announcement in a busy period - looks like you are doing just fine in showcasing lots of lovely food - will try and send something in maybe this week. what a fab round up & thanks sweets for the lovely comments! Ha ha! Thanks Rebecca. I am sure you will do an amazing round up! I am so pleased I was able to enter the first round up! It is really interesting seeing the huge variety of food that is gluten free!